We proudly introduce the new BIC/Acoustech Platinum Plus Series PL-89 II floor speaker. Adding to the top-rated PL-89's attributes: superb performance, high output to 119 dB (live rock band levels), ported design enabling frequencies as low as 25 Hz, top-notch materials and build quality, the PL-89 II floor speaker delivers even more impressive performance than its predecessor. The newly engineered PL-89 II incorporates an improved crossover design which enables smoother response for both mid and high frequency ranges. This results in a more natural, accurate balance of sound with improved clarity and detail. Therefore, the PL-89 II offers enhanced sound coverage of the listening area--- regardless of where you're seated. 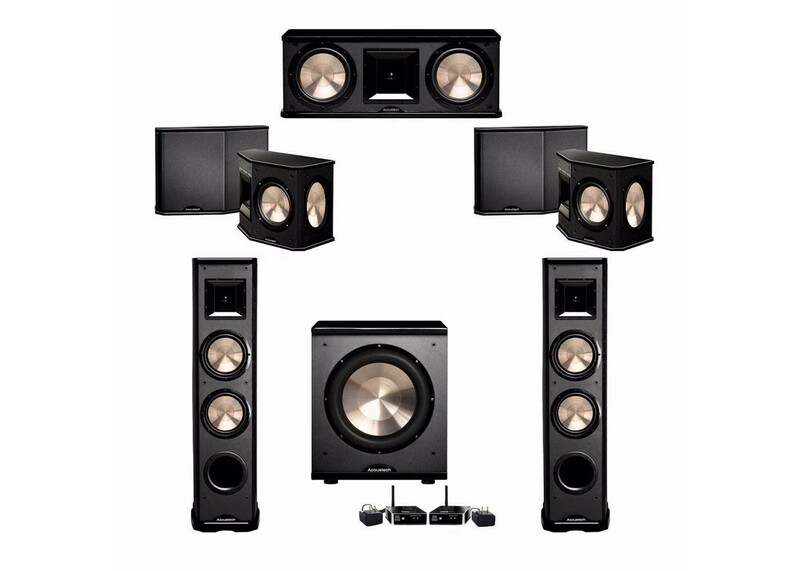 Platinum Plus Series PL-89 II tower speakers can be used for both main and/or surround channels in any theater system. They are also superb performers for music. For extra low bass extension, PL-89 II includes two high power 8" woofers. The state-of-the-art 6 1/2" high efficiency horn tweeters produce such richly detailed, startlingly lifelike sound that they will impress even the most critcal audiophile. All Acoustech Platinum Series speakers come in elegant enclosures with hand-rubbed black lacquer tops and bottoms. This extra step ensures each cabinet has a deep gloss shine that is more scratch resistant than most lacquer finishes on the market. The PL-89 II speakers include an extended 8-year warranty (one of the longest in the industry). Enjoy uncompromised sound at an affordable price!